1. Grate unpeeled ginger on large holes of grater. Gather grated ginger, and squeeze juice into small bowl. Measure out 1 Tbsp (15 mL) ginger juice. Discard grated pulp. 2. In medium bowl, whisk together measured ginger juice, pineapple juice, soy sauce, brown sugar, canola oil and salt. Place half of mixture in airtight container and refrigerate; reserve for sauce. 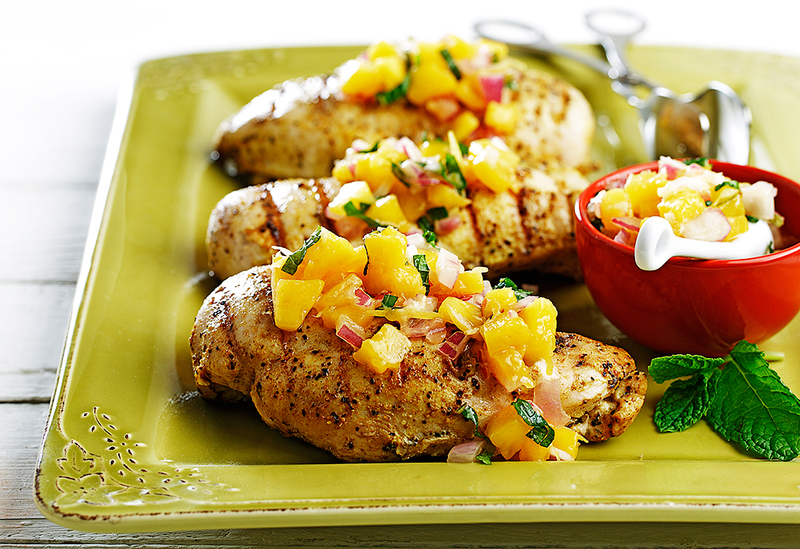 Place chicken breasts in resealable plastic bag; add remaining marinade, and squeeze out excess air. Marinate in refrigerator overnight; turn as needed to evenly coat. 3. To make sauce, remove reserved marinade from refrigerator, and boil in small saucepan over high heat until slightly thickened, about 3 to 5 minutes; set aside. 4. Preheat grill to medium. Clean it with stiff brush, then rub with canola oil. Remove breasts from marinade, and shake off excess. Discard marinade. 5. Grill until cooked through, about 4 minutes per side or until internal temperature registers 160 F( 70 C) on instant-read thermometer inserted into thickest part of breast. 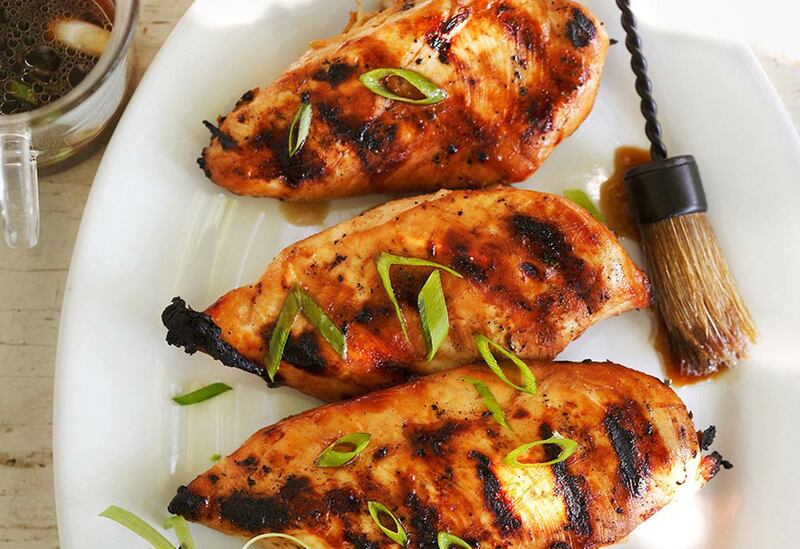 Spoon sauce over breasts, and sprinkle with green onions; serve hot or at room temperature. 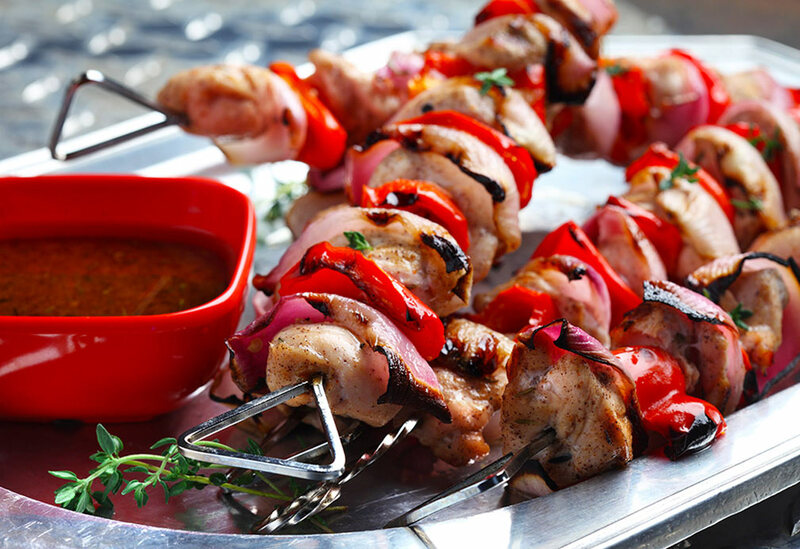 Variation: Marinade also delicious for beef, pork, and meaty fish such as tuna, salmon and swordfish. 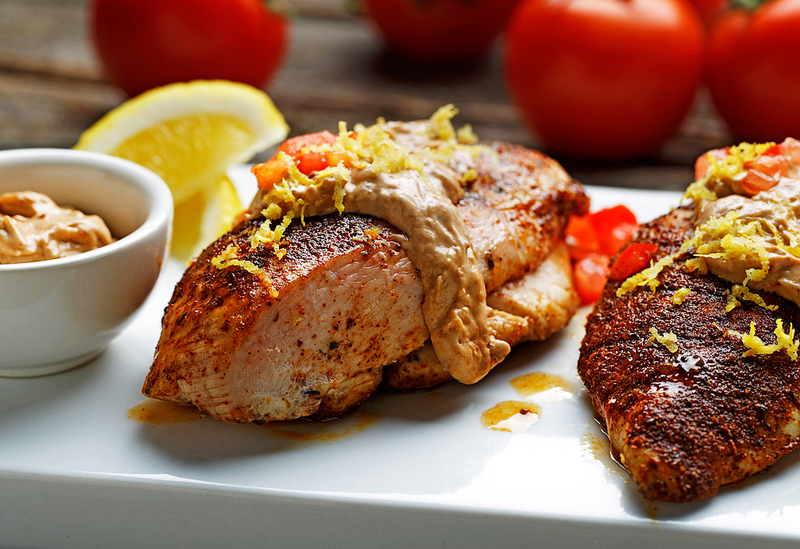 Marinate chicken, pork or beef overnight and meaty fish for 1 hour.